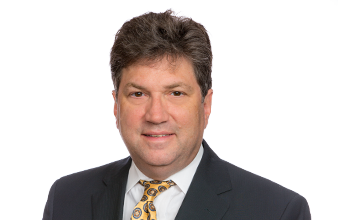 Mark Spencer is an experienced litigation attorney whose trial and appellate practice encompasses the areas of employee benefits litigation, insurance litigation, healthcare litigation, employment litigation and appellate law with a heavy emphasis on ERISA litigation. Throughout his extensive career, he has handled more than 300 federal court cases and in excess of 60 federal appeals. Much of Mark’s practice is devoted to regularly counseling and defending employers, insurers, administrators, fiduciaries, third-party administrators (TPAs), health maintenance organizations (HMOs), medical providers and benefits providers in a wide variety of disputes, including those involving administrative review proceedings, claims decisions, subrogation/reimbursement actions, alleged breaches of fiduciary responsibility, protected rights litigation, claims for prohibited transactions, alienation of benefits, plan service provider malpractice, reinsurance, and claims arising from reductions-in-force. 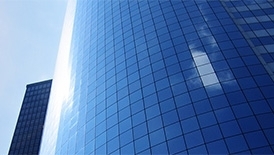 In addition, he has defended clients in a number of class actions, including Employee Stock Ownership Plan (ESOP) actions, stock drop cases, and fiduciary stock litigation. In an effort to help clients avoid future litigation, he works closely with the firm’s employee benefits attorneys, providing valuable advice regarding the design and implementation of employee benefits plans, and regularly counsels clients on ERISA and insurance compliance. He also drafts and reviews service contracts as part of his benefits counseling practice. In addition to litigating cases involving employer-provided benefits, Mark represents insurance companies in traditional life, health, disability, property and casualty, and bad faith insurance litigation. A portion of Mark’s practice is also devoted to appellate matters. Throughout his career, he has successfully represented clients before the U.S. Supreme Court and various federal and state appellate courts. His achievements have earned him inclusion in The Best Lawyers in America (commercial litigation; employee benefits/ERISA law; ERISA litigation; insurance law) and Oklahoma Super Lawyers. He was selected by Best Lawyers as the “Oklahoma City Employee Benefits (ERISA) Lawyer of the Year” for 2015 and “Oklahoma City ERISA Litigation Lawyer of the Year” for 2016, honors only given to a single lawyer in each legal specialty in each community. Mark is a frequent speaker on the specialty topics of ERISA and insurance litigation at the state and national levels. He has also been interviewed by the media for his analysis on U.S. Supreme Court decisions and has served as an expert witness in major litigation. He recently testified as an expert witness on behalf of a group of four insurance companies who were sued in California arising from a $215 million class action settlement in the Health Net/ Ingenix database litigation in New Jersey federal court. Mark devotes a significant portion of his practice to pro bono representation. As part of his pro bono practice, Mark recently obtained a $300,000 federal jury verdict and a permanent injunction on behalf of a family against a man who had stalked and harassed them for 14 years. The case is believed to be the first time a federal court has permanently enjoined a behavioral stalker. Mark advises clients on legislative and regulatory compliance issues and he is a member of the Federal Bar Association’s National Government Relations Committee. Upon graduation from law school and before entering private practice, Mark served as a law clerk for the Honorable William J. Holloway, Jr., Chief Judge of the U.S. Court of Appeals for the Tenth Circuit. The First Presbyterian Church USA v. Doe, No. 18-500, _ U.S. _, 2018 WL 6134239 (Nov. 19, 2018). Represented Oklahoma Wesleyan University as amicus curiae in support of a petition for a writ of certiorari challenging Oklahoma’s narrow interpretation of the religious autonomy doctrine. Integris Health, Inc. v. Cates, No. 17-1501, _ U.S. _, 2018 WL 2735478 (2018). Represented the American Hospital Association, the Oklahoma Hospital Association, the Oklahoma Association of Health Plans, and The State Chamber of Oklahoma as amici curiae in support of a petition for a writ of certiorari in a class action involving ERISA preemption of state law claims by plan participants who have been billed at non-discounted rates by their medical providers. Great-West Life & Annuity Ins. Co. v. Knudson, 534 U.S. 204 (2002). Represented the National Association of Subrogation Professionals, Inc. as amicus curiae on the merits in an ERISA subrogation case regarding the scope of appropriate equitable relief under ERISA’s civil enforcement provisions. Great-West Life & Annuity Ins. Co. v. Knudson, 534 U.S. 204 (2002). Represented the Self-Insurance Institute of America, Inc. as amicus curiae in support of a petition for a writ of certiorari. Writ granted. Bannister v. State Farm Mut. Auto. Ins. Co., 692 F.3d 1117 (10th Cir. 2012). Obtained a favorable judgment as a matter of law in federal district court following an adverse jury verdict, and an affirmance on appeal, in a phantom vehicle case. Brown v. J.B. Hunt Transp. Servs, Inc., 586 F.3d 1079 (8th Cir. 2009). Obtained a favorable reconsideration in the Eastern District of Arkansas of rulings against an employer for alleged ERISA violations for purportedly failing to furnish required information and materials, and an affirmance on appeal. Gaither v. Aetna Life Ins. Co., 394 F.3d 792 (10th Cir. 2004). Represented an insurer in ERISA benefits denial action. Conover v. Aetna US Healthcare, Inc., 320 F.3d 1076 (10th Cir. 2003), cert. denied, 542 U.S. 936 (2004). Obtained a favorable ruling that ERISA pre-empted Oklahoma bad faith law. Assisted in arguing Aetna’s position that certiorari should be denied in this case and instead granted in Aetna Health Inc. v. Davila, 542 U.S. 200 (2004). Beaird v. Seagate Tech., Inc., 145 F.3d 1159 (10th Cir. ), cert. denied, 525 U.S. 1054 (1998). Represented an employer in employment discrimination action involving a reduction in force at a plant. Gaylor v. John Hancock Mut. Life Ins. Co., 112 F.3d 460 (10th Cir. 1997). Obtained a favorable ruling that the benefit plan in question was not exempt from ERISA under its safe harbor regulation, and that ERISA pre-empts Oklahoma bad faith and statutory claims handling law. Shamrock Drilling Fluids, Inc. v. Miller, 32 F.3d 455 (10th Cir. 1994). Represented a national bank in obtaining an affirmance of a jury verdict, and post-appeal withdrawal of plaintiff’s aiding and abetting claim under §10(b) of the Securities Exchange Act of 1934 based on Cent. Bank v. First Interstate Bank, 511 U.S. 164 (1994). In re Nat’l Prescription Opiate Litig., Case No. 1-17-MD-2804 (N.D. Ohio); Pioneer Tel. Coop., Inc. Employee Benefits Plan v. Purdue Pharma, L.P., Case No. CIV-18-994-G. (W.D. Okla., filed Oct. 9, 2018). Counsel for plan fiduciaries acting as putative class representatives for ERISA benefit plans seeking to recover from opioid manufacturers and distributors. SWCC, LLC v. Allied Nat’l, Inc., 2018 WL 3374096 (D. Kan. Jun. 29, 2018). 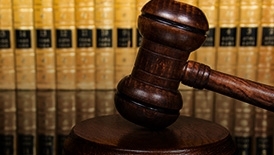 Represented a third-party administrator who had been sued by an employer in an effort to coerce the payment of benefits to the owner-beneficiaries. The court held that removal was proper under 29 U.S.C. §1132(a)(3), rather than §1132(a)(1)(B), even though the employer, rather than the beneficiaries, was suing and even though the employer was claiming a breach of the third-party administration contract rather than a breach of the plan document itself. Lavielle v. Acosta, 281 F. Supp. 3d 1133 (W.D. Okla. 2017). Obtained, pro bono, a $300,000 federal jury verdict and permanent injunction on behalf of two parents and their three minor children who had been stalked and harassed by the defendant for several years. Sparks v. John M. Campbell & Co., Case No. CIV-15-469-W (W.D. Okla. Apr. 26, 2016). Obtained a dismissal of claims in a multimillion-dollar ERISA class action brought in federal court by employees of an ESOP-owned oilfield consulting business regarding claims around fiduciary duty and valuation. Okla. Procure Mgt. LLC v. Sebelius, Case No. 5:2012cv00680 (W.D. Okla. Apr. 4, 2013). Obtained a favorable ruling reversing the Medicare Appeals Council’s decision and remanding the matter to the Secretary of Health and Human Services to compute the reimbursement amounts owed to medical provider for administering proton therapy to patients. Kelly v. OSMA Health & Welfare Benefit Corp., Case No. 4:06-cv-00161-JHP-FHM (N.D. Okla., May 31, 2006). Obtained a ruling that a lawsuit by a participant in the Oklahoma State Medical Association’s benefit plan was not exempt from ERISA under the safe harbor regulation even though the participant’s employer had no non-owner employees. Warner v. Aetna Health Inc., 333 F.Supp. 2d 1149 (W.D. Okla. 2004). Obtained an affirmance of an ERISA insurer’s denial of benefits based on its determination that plaintiff could participate in a rehabilitation program and that he had refused to cooperate with efforts to initiate such a program. Conover v. Aetna US Healthcare, Inc., 167 F. Supp. 2d 1317 (N.D. Okla. 2001). Persuaded a federal district court to reject the holding in Lewis v. Aetna U.S. Healthcare, Inc., 78 F.Supp.2d 1202 (N.D. Okla.1999), that ERISA pre-emption of state bad faith law had been overturned. Great-West Life & Annuity Ins. Co. v. Clingenpeel, 996 F. Supp. 1348 & 1353 (W.D. Okla. 1998). Obtained a ruling rejecting federal common law “make whole” and “common fund” rules in an ERISA subrogation case. Ward v. Reliance Std. Life Ins. Co., Case No. CIV- 96-00293-M (W.D. Okla. Dec. 5, 1997). Obtained a judgment for the defendant following a federal trial in a benefits dispute arising from the Oklahoma City Murrah Building Bombing. Melton v. White, 848 F.Supp. 1511 & 1513 (W.D. Okla. 1994). Obtained a permanent injunction and an award of attorney’s fees and costs to The Prudential Insurance Company of America in a dispute over Servicemen’s Group Life Insurance proceeds. Metro. Life Ins. Co. v. Browning, 839 F.Supp. 1508 (W.D. Okla.1993). Represented an insurer in a lawsuit to determine the parties’ rights to the proceeds under the Federal Employees’ Group Life Insurance Act. Ferguson v. The Prudential Ins. Co. of Am., 777 F.Supp. 15 (W.D. Okla. 1991). Obtained a favorable decision upholding the defendant insurer’s denial of benefits following a federal trial on the merits. Health Net, Inc. v. RLI Ins. Co., 206 Cal. App. 4th 232, 141 Cal. Rptr. 3d 649 (2012). Testified as an expert witness on behalf of a consortium of liability insurance companies who were sued by Health Net, Inc. on the issue of Health Net’s exposure in various ERISA class action lawsuits in New Jersey that were settled for $215 million. Prescott v. Okla. Capitol Preservation Comm’n., No. SD-113332 (Okla. Apr. 27, 2015). Co-counsel with Paul Clement in representing amicus curiae Prof. Mark DeForrest in briefing on whether Oklahoma’s Blaine Amendment prohibits passive displays on the state capitol grounds. Cranfill v. Aetna Life Ins. Co., 2002 OK 26, 49 P.3d 703. Obtained summary judgment on bad faith claim, based on the existence of a legitimate dispute between the parties, by persuading the federal district court to certify the issue of whether decedent’s injury was intentionally self-inflicted to the Oklahoma Supreme Court. Trice v. Burress, 2006 OK CIV APP 79, 137 P.3d 1253. Obtained a favorable ruling that church officials’ statements to parishioners about the reasons for plaintiff-employee’s termination were protected by the First Amendment. Prescott v. Okla. Capitol Preservation Comm’n, No. CV-2013-1768 (Okla. Co. Aug. 14, 2014) (co-counsel with Paul Clement in representing amicus curiae Prof. Mark DeForrest in briefing on whether Oklahoma’s anti-Catholic Blaine Amendment prohibits allowance of passive display on state capitol grounds).